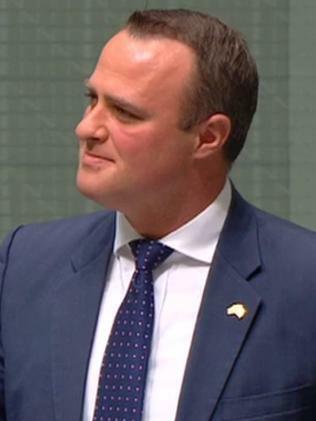 Tim Wilson became teary before proposing to his partner in parliament. From his seat in the public gallery, Mr Bolger said "yes". 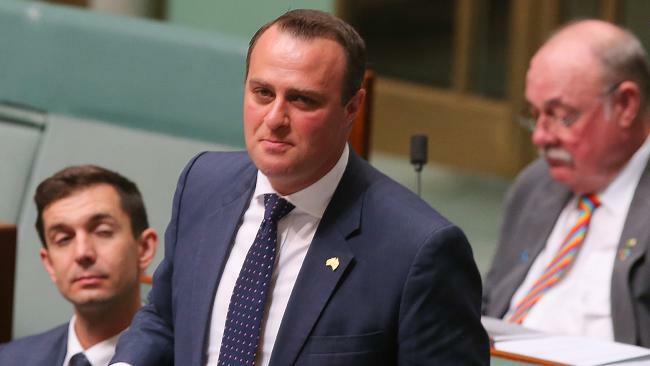 Tim Wilson popped the question in parliament. "I said, 'I don't know what this ring represents, but will you take it as a sign of my commitment'. Thankfully the answer was yes," he said. Mr Wilson said the following days were "bittersweet". "Anyone who has been engaged will know that moment in life, the joy amplified by the mutual celebration of others. When we told others, many simply didn't know how to react," he said. "Ryan kept pushing for an engagement party. The truth was, I kept delaying it, perhaps wrongly, because the strong message that I took from so many people's silence was that no one would come." The couple have been wearing engagement rings for more than seven years. 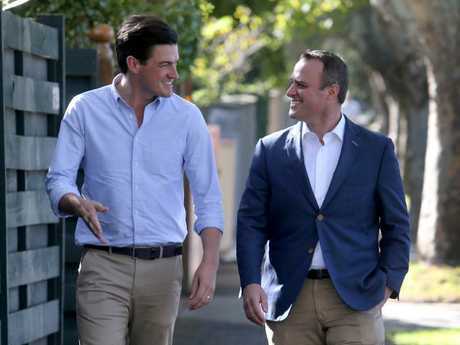 Picture: David Geraghty/The Australian. Mr Wilson began to tear up when he recalled informing one person of the couple's news, only to be told: "Why bother?" 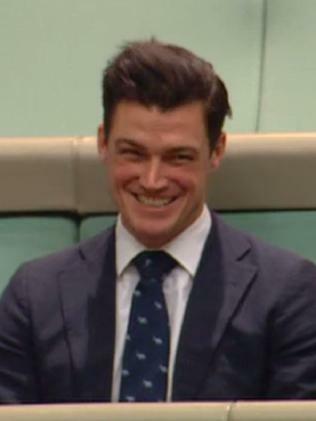 After thanking staff and colleagues, and the Australian people for voting in favour of marriage equality, Mr Wilson rounded off his address saying: "There's only one thing left to do." "Ryan, Patrick Bolger, will you marry me?" he asked through tears. "That was a yes, a resounding yes," Mr Mitchell said. "Congratulations. Well done, mate."